Patrick Angus belonged to a generation of artists that turned to figurative painting in contrast to the abstract art that was the general rule at that time, the late 1970's. 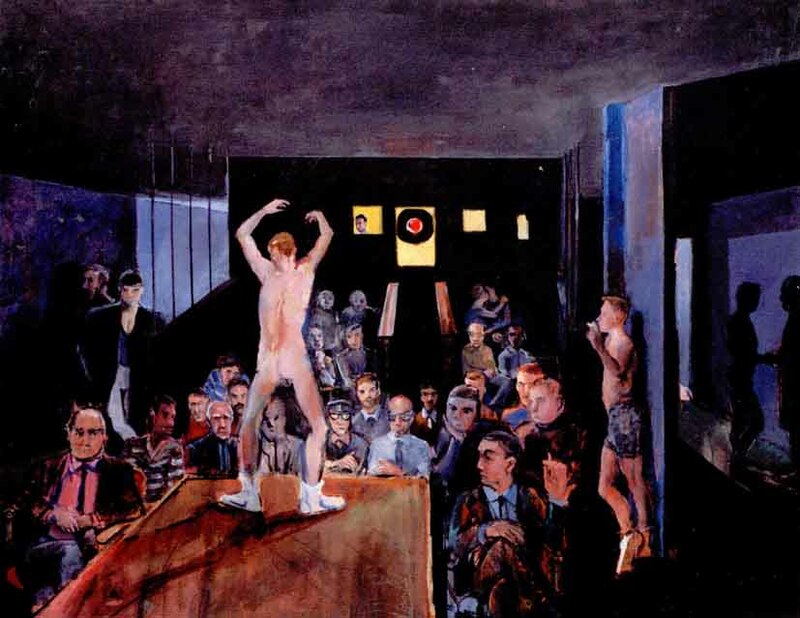 Taken by the sucess of the sexual revolution and the self-liberation of the gays due to the events in the course of Stonewall in 1969, Patrick Angus wanted to bring the reality of gay life into art - since art had rejected this reality just as much as society in general. For this, he used the classical narrative style of painting and drawing and continued the tradition of the American realism of Edward Hopper or Reginald Marsh. Patrick Angus succeeded in his work to bring into the picture a variety of new subjects, presenting gay lives and loves in unprecedented form with narrative density. Unfortunately, the extensive body of his works has survived only partially.